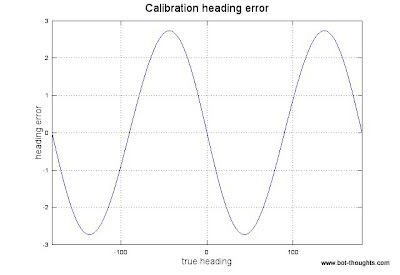 In building my Sparkfun AVC robot, I wanted to investigate the effects of magnetometer calibration on heading error. To keep things simple, I assumed a 2d compass, and modeled only hard iron offset and scale issues. I wrote an Octave script to do the work. In the script, I wrote a function that computes the heading error per degree of true heading given an x and y offset and x and y scale. 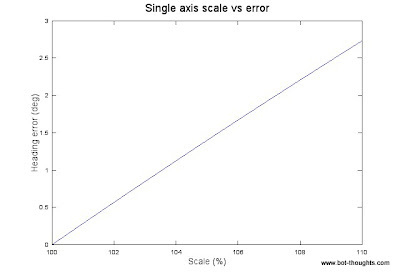 To plot the relationship between scale error and maximum heading error, call this function for values of xscale that range from 100% to 120% of yscale, and offset of 0. Then, obtain max(err) and plot maximum error vs heading. 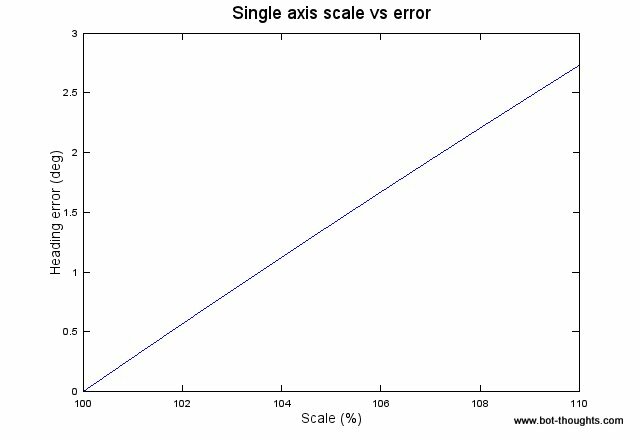 If axes are mis-scaled by 10% the error exceeds 5°. 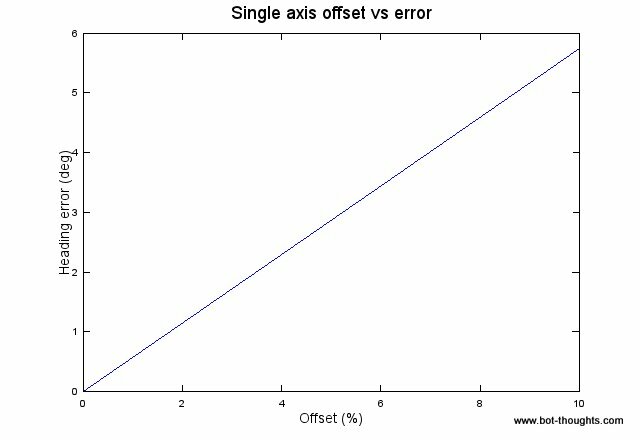 Next, I run the same function with an x axis offset of 0-10% (of the radius) and matching x and y scale, and plot the result. 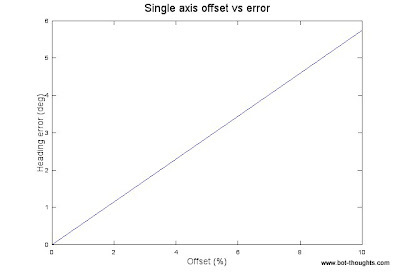 An offset of 10% results in over 2.5° of error. 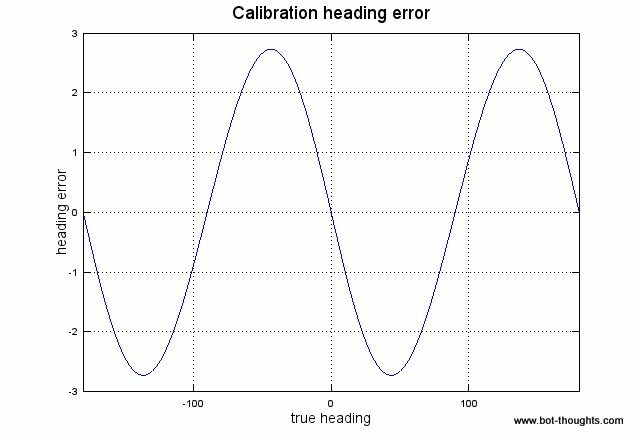 Understanding the sensitivity of maximum heading error to scale and offset calibration gives me some clear goals for magnetometer calibration. Meanwhile I will soon investigate the approach of swinging the compass: collecting real world error data after initial calibration that I can use to further correct magnetometer readings at runtime.